Posted on YouTube. Please enjoy. 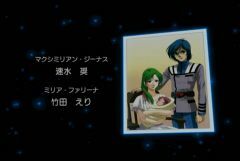 The Macross DYRL TV Special: For the record I have posted it here. This is the finished version with English subtitles. Victor blocked it for USA and maybe other countries so you may need a proxy to view it. I know this is an old thread but in case someone comes looking there you have it. Thanks a lot for this instruction! It is hard to believe the "black dot" will ever go away until I finally applied the right force and then "voila"! Awesome. Macross DYRL TV Special Finally online! Have to watch! Playing Sonic Adventure 2 on Dreamcast today. 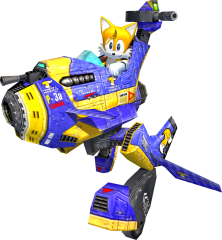 Tails in his Valkyrie (Cyclone) full on Gerwalk mode! 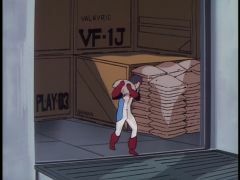 Not sure if this has been posted before but, as I'm watching SDC Orguss episode 18 yet another Macross reference... I guess it's not the weirdest place for it but it's still something to talk about! Macross not Robotech since 85! I have seen and done some Macross related things in my time. I stumbled upon a new game some fans are working on over at a spanish speaking voxp site. I'm not sure if it's just a mod of voxp or, all new but there are videos of the work in progress and, they look pretty cool. http://translate.google.com/translate?hl=e...%3Doff%26sa%3DG The only complaint I have is the integration of "robotech". Check it out! This is so good! I want! Thanks, that's what I figured. I collect all Macross games however I can get them so... If I can get these cool. Check out these games! http://www.macrossf.com/goods/game.html (at bottom of page) Anyone have these?